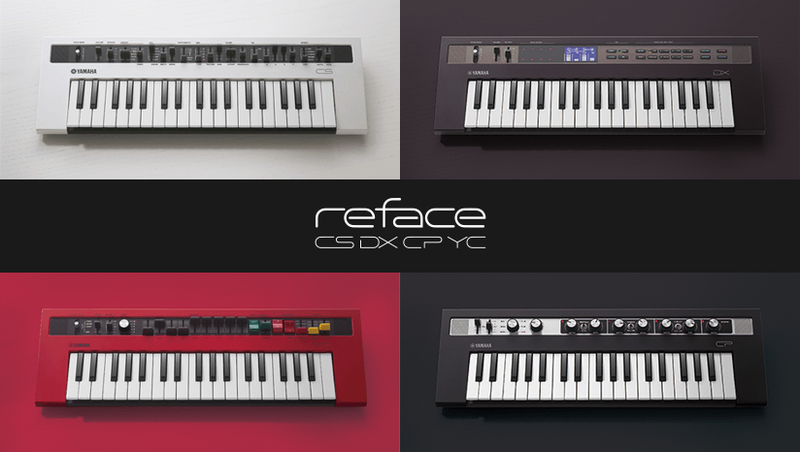 The new Yamaha Reface range features a series of four sophisticated synths. Designed with the charm of the 60s and 70s in mind, these keyboards are a fusion of vintage style and modern engineering: bundled into a portable, playable piece of hardware. – reface Mobile Mini Keyboards are reimagined interfaces of classic Yamaha keyboards. Although the synths have different features they all tie together. All synths run on batteries and have inbuilt speakers. This is Yamaha giving a bow to the retro world of DJ play and production, encouraging musicians to mash on the move by creating more of a mobile musical instrument. Yamaha have not forgotten the modern DJ requirements in the reface series and have insured that the keyboards feature synthesiser technology found in all the best pro-synths, for instance the hardware will connect to nearly every kind of device a DJ could need. DJs can also use the reface series alongside reface Capture software and Soundmodo software, proving that this series is bang up to date. reface Capture is available in the app store and allows DJs to capture and store their synth sounds, create set lists for instant recall and share with fellow DJs and mates. For easy playability DJs can use the synths alongside Soundmodo. Plug your synths into the hardware, load up your own pre-sets and watch in wonder as the reface synch between the browser and your position in the controller. This eliminates awkward hardware-software disconnection and makes play especially intuitive for even beginner DJs. The new, high-tech HQmini keyboard is incredibly playable. The compact, streamlined design is not only portable but also promotes a slick, premium look. Perfect for a professional aesthetic on the road. Buy your Yamaha Reface Synthesizer today at the best price.